The name Norco CA is an abbreviation of North Corona. The city was named after the North Corona Land Company, which, as you might expect, was developing land north of the city of Corona. Norco CA has a very different atmosphere and identity than its southern neighbor though. Since 2006, it has been advertising itself as “Horsetown USA,” in reference to the fact that locals place great importance on their right to keep horses and other animals within city limits and to ride their horses right along the streets of downtown. Where other cities might have parking meters, Norco Ca has hitching posts for horses. Of course, horsepower alone isn’t enough when it comes to many modern tasks. Hydraulic power is better. 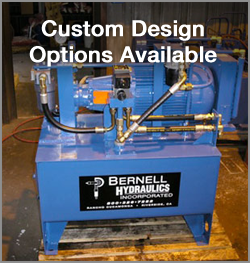 If your hydraulic equipment isn’t delivering the performance you require, you can always turn to Bernell Hydraulics for help. We provide expert hydraulic repairs, service, and maintenance, as well as high-quality hydraulic parts from trusted name brands like Parker.